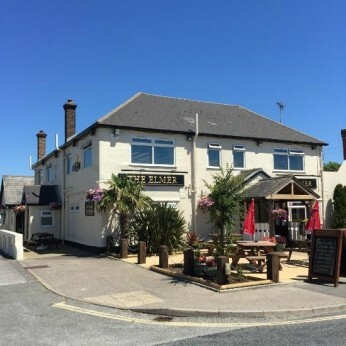 A stone's throw from Elmer Sands, a beautiful and scenic stretch of South Coast seaside, The Elmer Pub and Hotel in Bognor Regis is the perfect spot to unwind. A true dining experience awaits in our bar and restaurant, where our Head Chef cooks up a storm using locally sourced ingredients. Wash it all down with premium fresh ales from Fullers. Five fantastic guest rooms make The Elmer one of the finest places to stay in Bognor Regis. Book yourself in for some rest and relaxation by the sea. With room to cater for large private functions, The Elmer is a popular spot for wedding receptions and birthday get-togethers. Celebrate your special occasions in style.